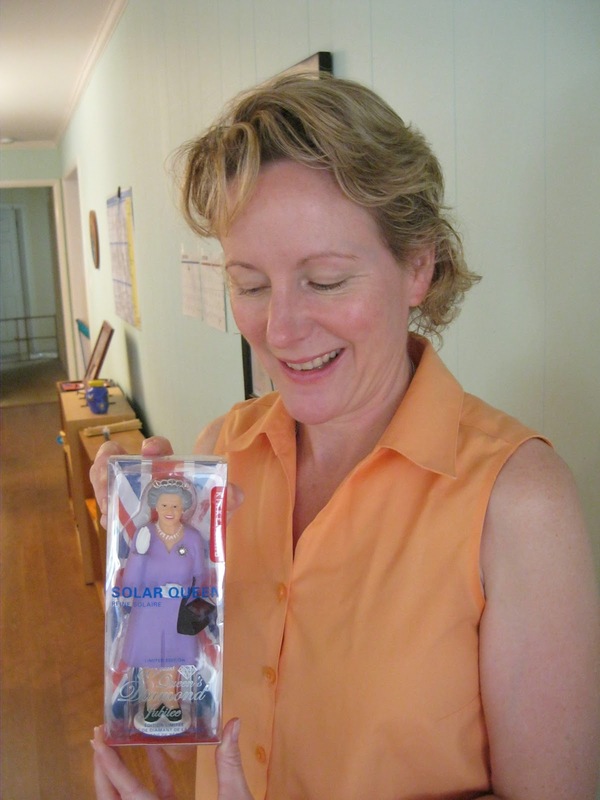 Some friends went to England recently and brought me back this waving figure of the Queen Mother. I'm keeping her above my kitchen sink on the windowsill--she makes me happy! My in-laws gave us their inflatable pool and we set it up right away. Look what happens when you stick a hose in one end of the noodle! My son took this photo while I was presenting Color Box 2 to Alleluia this week. It's "real" because you can see the laundry I was just folding in the lower left and the vacuum cleaner I was also just using in the lower right! 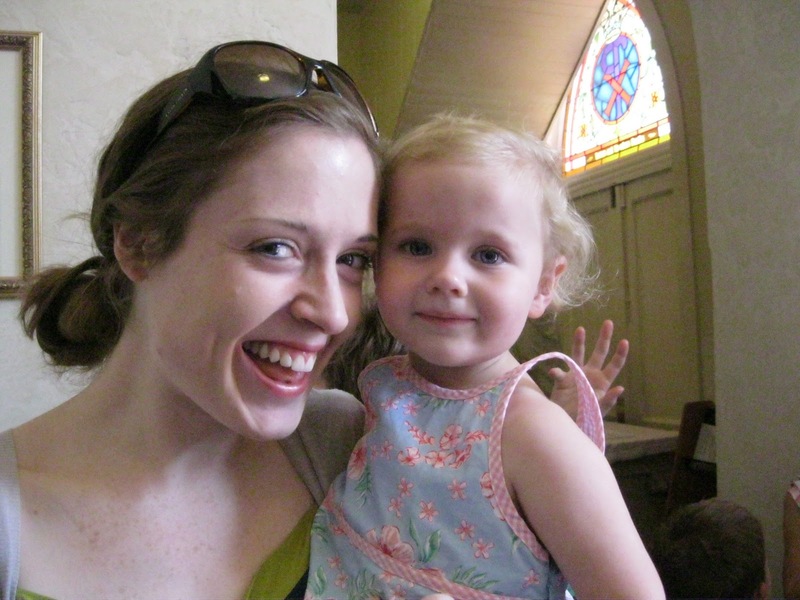 As moms we don't have a lot of time to sit down with our kids, but we try to make the most out of what we have, don't we? I love your post -- you captured it all. That last photo is actually beautiful!